Ramblers Respond: Are We Involved? Finding an organization you are truly passionate about can be a difficult task. This can be frustrating and discouraging to undergraduates who are looking to get involved on campus. John St. Pierre, a film major, chose to overcome this obstacle by creating an organization of his own–a decision which led to something phenomenal. 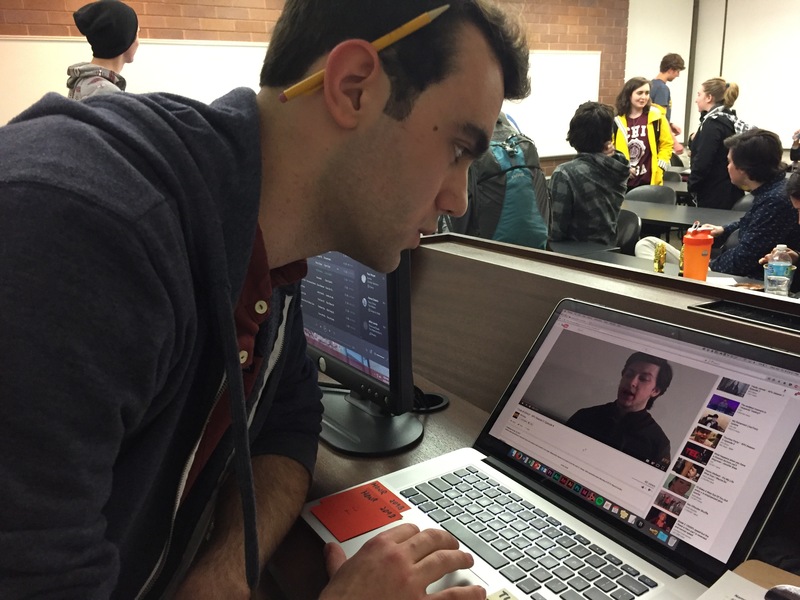 When John came to Loyola, he noticed that there weren’t any organizations specifically producing media content. Thinking back to the small web series he previously worked on with his friends in high school, John knew what needed to be done. He took this chance to reach out to students interested in media production and pitched the idea of creating their very own web series. Within no time, Kettle Camp Studios was born. It has been a little over a year since Kettle Camp Studios received its official organization status. It is currently the only club involved in narrative production and creating video content. Their original series, KPU, has reached hundreds of subscriptions and thousands of views on YouTube. KPU is a mockumentary which follows the lives of college freshmen at their fictional school–Kickapoo University in Chicago. Watch the pilot video here. The success of KPU has inspired Kettle Camp Studio to structure their organization as close to a professional production company as possible. With the growing number of students becoming involved, there are now 6 departments within the organization–providing more opportunities for students with a variety of talents within media production. John’s story goes to show that as a student at Loyola, it is possible to fill any gap that you see in the Rambler community. You’re only given a few years as an undergraduate student. Use this time to make your mark in the Loyola community. You never know–it could open up many new doors–not only for yourself, but for your fellow students as well. Tweet @UncoveringLUC or email us at uncoveringloyola@gmail.com if you or someone you know has recently started their own club or wants to expand opportunities for others. Uncovering Loyola is dedicated to creating a blog that provides undergraduate students a guide on how to get involved on campus. Our team introduces student leaders, organizations and events with the hopes of bringing opportunities to network, build resumes and more. Emma Nyssen on Ramblers Respond: Are We Involved?